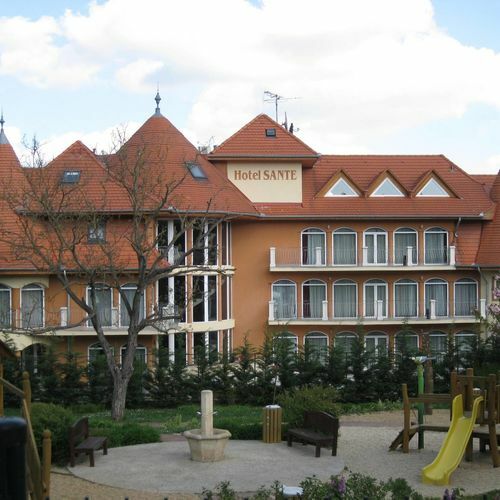 The Hotel SANTE*** (Hévíz, Nyírfa street 1.) waits their guests in the centre of Hévíz, but still in a quiet and calm environment. Thanks to its favourable location it is easy to reach (takes 10 minutes on foot) the only warmwater lake in the world, Lake Hévíz. Directly next to the hotel you can find the city centre, several restaurants, the church and the new playground too. 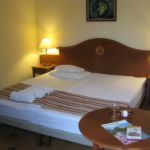 The 21 well-designed and comfortable double-rooms are equipped with TV, fridge, safe and with internet access. There are bathtubes in 4 rooms. 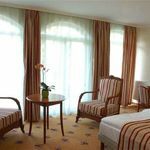 Two appartements character our rooms supplied with air – condition for ideal families.Use of bathrobe and hair-dryer, lift, use of the jacuzzi and the sauna. We await our rest-loving guests with drinkbar and buffet breakfast . Parking availability in the deep garage. 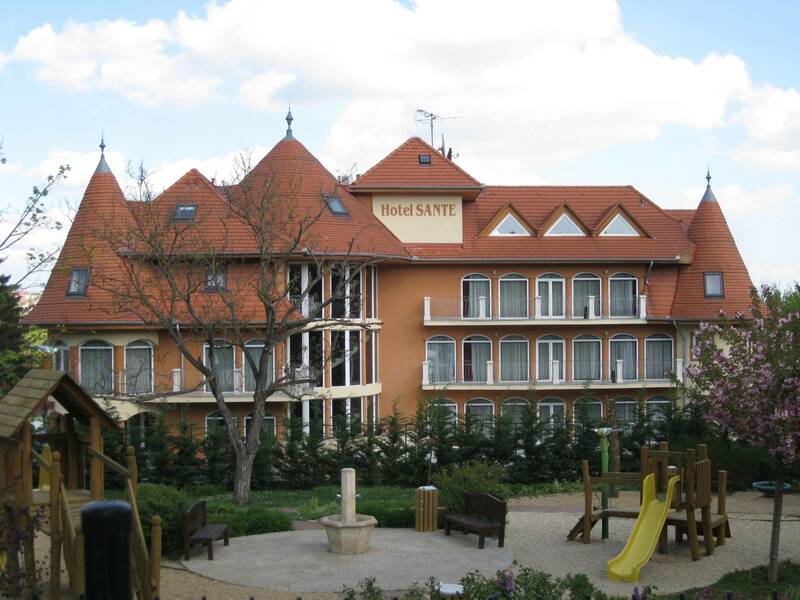 The rating of Hotel Sante Hévíz is 9.6 from the maximum 10, 188 based on actual and valid guest ratings and reviews. "Тихо, спокойно, можно расслабиться в велнес центре, номер удобный, чистый, красивый"
Based on the reviews and comments of actual guests, the services of the Hotel Sante Hévíz have received a high rating of 9.5/10.